Indie Author Twitter Hacks - Find the readers, influencers and the best hashtags. Writing and publishing books has always been a viable way to work from home and NOW is absolutely the best time to do this. I can give you a NOW example from my own work. My latest book, Make Money Online Vol. 2 – 67 Real Companies That Pay You To Work In Your Pajamas has made me thousands of dollars since I launched it last month in the Amazon Kindle Store. That was after giving away over 10,000 copies for free to the readers of my blog, my fans on Facebook and to Amazon readers in a free promotion. Since it was launched a little over a month ago I’ve sold 4000+ copies and at the time of this writing, it hasn’t dropped off the Business Bestseller list. I have always included chapters on writing and publishing in my books as I believe it is an excellent way to earn money from home and frankly, good writing skills help you in almost every aspect of running a web-based business. I have gotten enormous, positive feedback about this book in the form of reviews but also in private emails and messages regarding the chapter titled, From Beginner to Author. Readers wanted to know more about the process of writing, creating, publishing and marketing books as a way to create passive online income. I have mentored and helped writers and authors behind the scenes, but now, in order to help more people, it’s time to take this public. Some of us dream of writing a Stephen King-like bestseller. Most of us have stories we want to write and ideas we want to get across. Dreaming big is always a good thing but there are many of us outside the cubicle, working remotely and making a fine living selling books we’ve published on Amazon, Barnes & Noble and our own websites. These titles are not mega-sellers but they pay the bills and then some. I would like for you to benefit from the knowledge I’ve already gained over the last few years in the indie publishing business. There are proven techniques I can show you that that will streamline the learning process for you. You will not make the mistakes that others have made. It doesn’t matter if you want to write a short story, children’s book, memoir or a romance novel, there are readers in every market and I can show you how to be successful in yours. Last month I was interviewed for a major US magazine with over 2 million subscribers and while the fifteen minutes of fame was good for business, as it gives the social proof that what I offer is helpful, fame was never my personal goal or my definition of success. My goal was to have a business that allowed me to travel the world and make a comfortable living as an author. Writing about a subject I’m passionate about is a bonus. That is what I’d like to teach you to do. There is no get rich quick component to this. My latest book was a success because I built its success behind the scenes but it’s also not as hard as you think, especially when you have a guide. If your book is gathering some digi-dust in the Amazon Kindle store or elsewhere, I’ve got some great news for you. I’m going to help you revive that book. I’ve got some great, FREE video tutorials to help you rocket your book up the charts to bestseller status, where it should be. There are reasons that some books stand out and others don’t. Some books have more visibility than others. I want to teach you how to make that standout books yours. 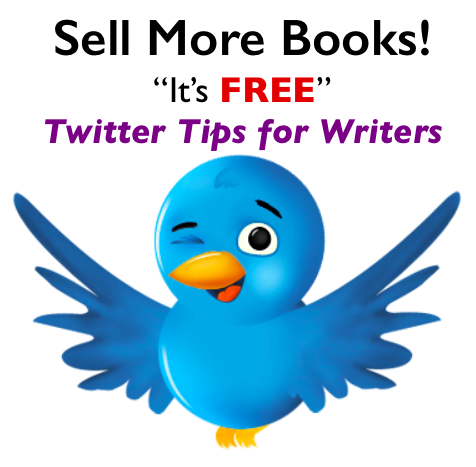 Twitter Tips For Writers shows you how you can use Twitter to help you market your writing and build an audience. We all need to use our social media time wisely, as it can keep us from creating and writing. These videos will help make your time on Twitter more effective. So please join me here whether you just have a book idea, completed manuscript, or a published novel, I can help you create a better living for yourself as an Indie Author. To your indie author success!